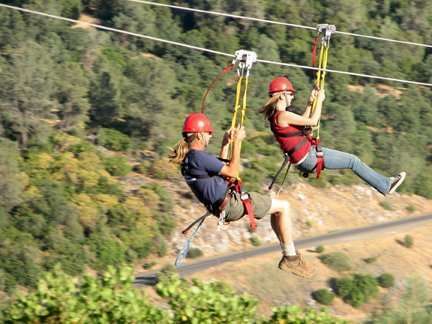 For the thrill of a lifetime, try zip-lining 1500 feet at speeds of 40mph with the wind blowing your hair and incredible views of the Sierra Nevada Foothills. After that, take a tour deep into the earth’s crust to see spectacular gems. At Moaning Cavern and Twin Zip Lines you can do that. Just 2-3 hours from the Bay Area and about an hour from Sacramento, it is very easy to get to Moaning Cavern and Twin Zip Lines. They are located at the same address. 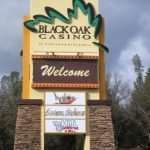 The address is 5350 Moaning Cave Road, Vallecito, CA 95251, USA. From their webpage they give directions from Stockton. Take Highway 4 east through Angels Camp to Vallecito. Turn right on Parrotts Ferry Road at the Moaning Cavern sign. Go one mile, then turn right on Moaning Cave Road. Take the road to the end and park in the parking lot. The visitors center is on the right. 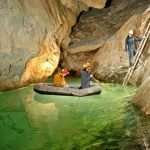 For more information visit http://caverntours.com/moaningdir.htm. They have videos of pictures of the Twin Zip Lines. The email is caverns@caverntours.com. Twin Zip Lines is 1400 feet long with two zip lines so you can race your friends and family members. Twin Zip Lines offers a couple different ways to zip across. First is regular where you are seated upright, or may lay back. This is the most common way to enjoy the zip line. The second is the Tandem Zip where two people, equaling no more than 280 pounds are in the regular position but go together. Finally, there is the Super Style Zip, named because it looks like you are superman. You lay with your belly towards the ground and fly hands first across the line. This requires 2 regular zips beforehand; at least one must be on the same day. Experts will harness you, give you a helmet, and before you know you will be walking across the 60 foot long sky bridge to the platform to complete your adventure. You may race a friend or family member and or zoom across the zip line by yourself. The cost of this adventure at Twin Zip Lines is $39 per person for the first run and only $24 per person after that. Moaning Caverns and Twin Zip Lines offer a special package of $93.50 per person to rappel down to Moaning Cavern and do one trip on the zip line. This would save you 11 dollars. After your zip lining experience, you may also enjoy some of the other activities at Moaning Cavern. The main attraction is the cavern itself. It is so big it can fit the entirety of the Statue of Liberty in it. There are a couple ways to view the cave. First there is a guided walking tour. The tour lasts 45 minutes and you descend into the cavern walking down 234 steps. Your guide tells you about the history and geology of the cave. The price of this tour is $14.25 for an adult, and $7.15 for a child (ages 3 – 12). Second, you can rappel into the cave. You will descend 165 feet into the cave. It should last about 45 minutes. Participants must be 12 or older and must have permission from a parent. This trip costs 65 dollars. Finally you can take the 3 hour Adventure Trip at Moaning Cavern beginning with an optional rappel. This takes you into the undeveloped part of the cavern. You get dressed in overalls, hard hats with a light, and gloves so you can slither through small passageways and climb through the cavern. To go on this tour, you do need a reservation. 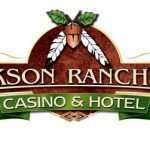 Please call 209-736-2708 for a reservation. The cost for this is $130 with the rappelling and $76 without the rappelling. Here are some pictures of what the Adventure Trip consists of: http://www.goldrush.com/~troll5/. Another activity around Moaning Cavern is a new 32-ft climbing tower. This costs $5 dollars or 3$ with purchase of a rappel or zip line experience. They also host special events during the year. 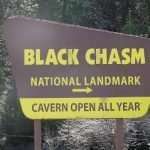 Check their website at http://caverntours.com/MoCavRt.htm for details. Finally the last adventure at Moaning cavern is horseback riding. Chose from two rides: the 30-minute Coyote Canyon Adventure Ride or the 1-hour 15-minute High Adventure Ride. The Coyote Canyon Adventure is $39 dollars and the High Adventure Ride is $59. Reservations are required for horseback riding. Please call 866.762.2837 for reservations. The available riding times are 9:30 am, 12:00 pm, 2:30 pm and 4:30 pm daily.